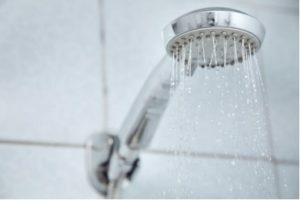 Chlorine in Your Daily Shower – Is It Making You Sick? While it has been established that the contaminants in our drinking water can prove to be hazardous for our health, the idea that the same might be true of the shower water has not become as popular. Chlorine is a chemical that is normally used as a disinfectant to get rid of pathogenic bacteria in drinking water. While it plays a vital role in purifying water, it can also lead to certain damaging effects to our bodies. When you take a quick 10-minute bath, your body can absorb up to 8 glasses of water through your skin. What happens is that when chlorine is used as a water disinfectant, it combines with water’s organic matter to produce Trihalomethanes (THMs). One of the major THMs formed is chloroform. Apart from other harmful effects, chloroform is also a carcinogen. 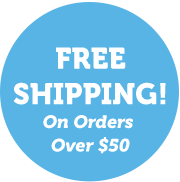 This makes chlorine in water toxic and harmful whether it is consumed or applied on skin. Chlorinated water from showers could have a negative impact on our intestinal flora. A dysfunctional gut flora might lead to conditions such as Asthma, Acne and other autoimmune conditions. Moreover during showering, it’s not just that our bodies are coming into contact with chlorinated water; we also inhale the chlorine gas. This chlorinated water does not go down well with our lungs and might cause cancer. In fact, research has shown that the risk of cancer might actually be due to showering with chlorinated water, rather than drinking it. Surely, preventing shower altogether might not be a feasible solution to this. A more suitable approach would be to get the source of problem (chlorine) out of the way and shower safely. The best way to do this would be to install a chlorine shower filter. 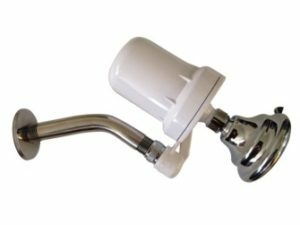 This filter is fixed on the shower head and not only gets rid of chlorine, but also other chemicals such as mercury, nickel and iron. Not only is it an effective solution, it is also quite cost-efficient. This investment will go a long way in protecting you and your family members from hazardous diseases. With an aim towards health and safety of households, we at Ava Water Filter provide efficient and reliable shower filters. Contact us to know more about our products.